5.22" have fallen in Hope Valley, RI which is the highest amount I have found so far. See reports here. Not surprisingly several rivers are near or above flood stage. Yellow is near flood stage, orange is minor flooding, and red is moderate flooding. The forecasts call for only minor flooding from here on out. 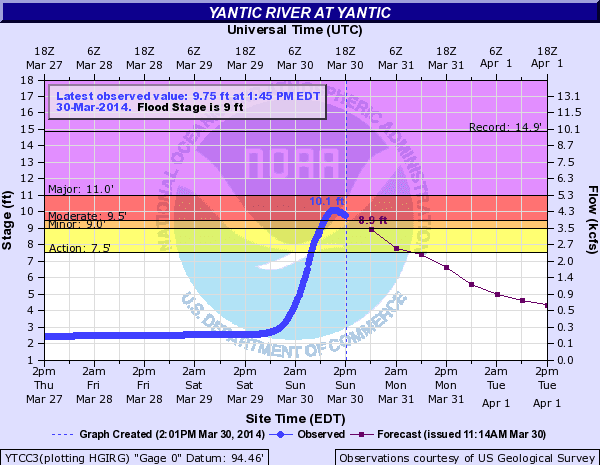 I did notice the rivers rose faster and higher than most of the forecast. 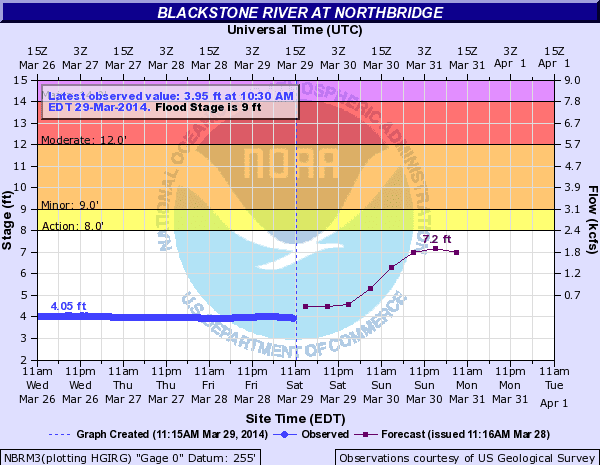 For example the Blackstone was forecast to rise to 6.6 ft yesterday afternoon, yet it is already at 8.3 feet. 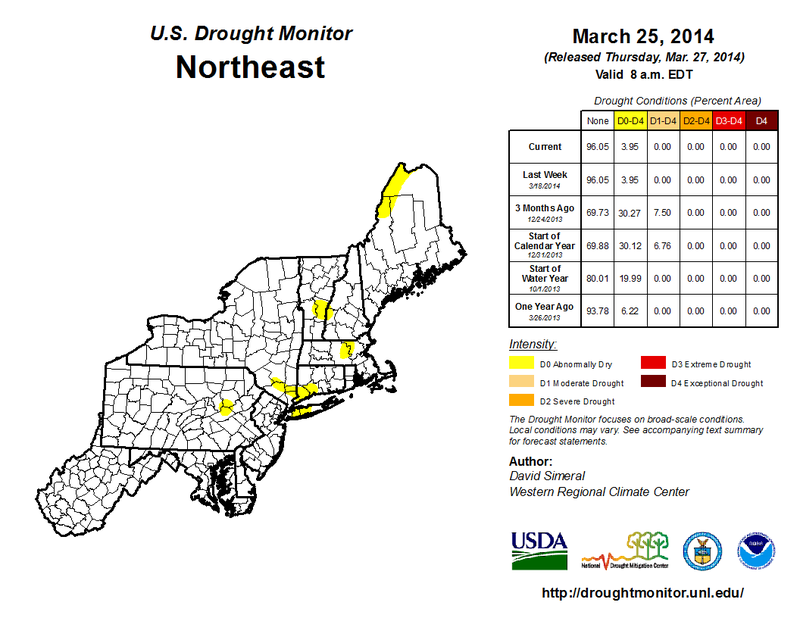 That includes Northern Worcester Co, but the Flood Warning for the Assabet River takes precedent. 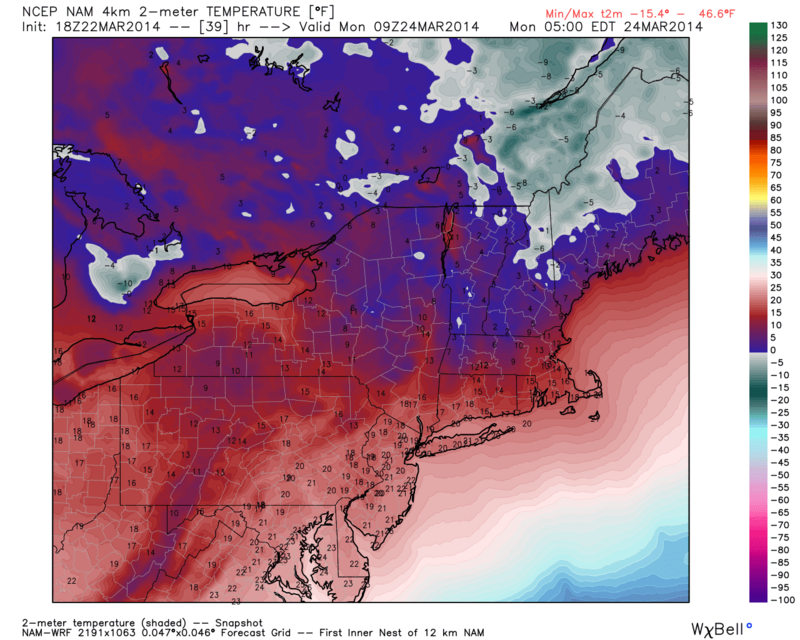 Monday looks miserable with temperatures in the upper 30's/low 40's. That's all for now, another update tonight or tomorrow AM. 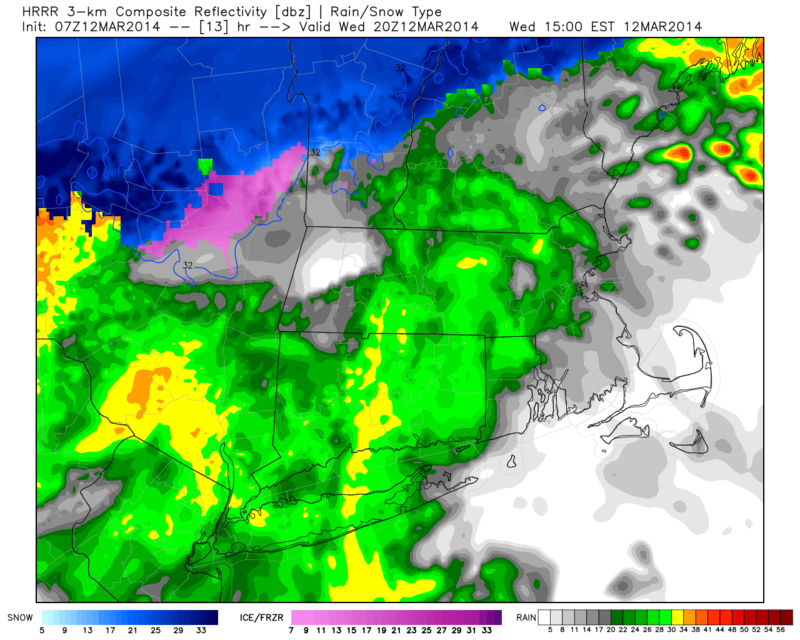 Here is the 500 mb for 11 am off the 12z NAM (8 am model run). 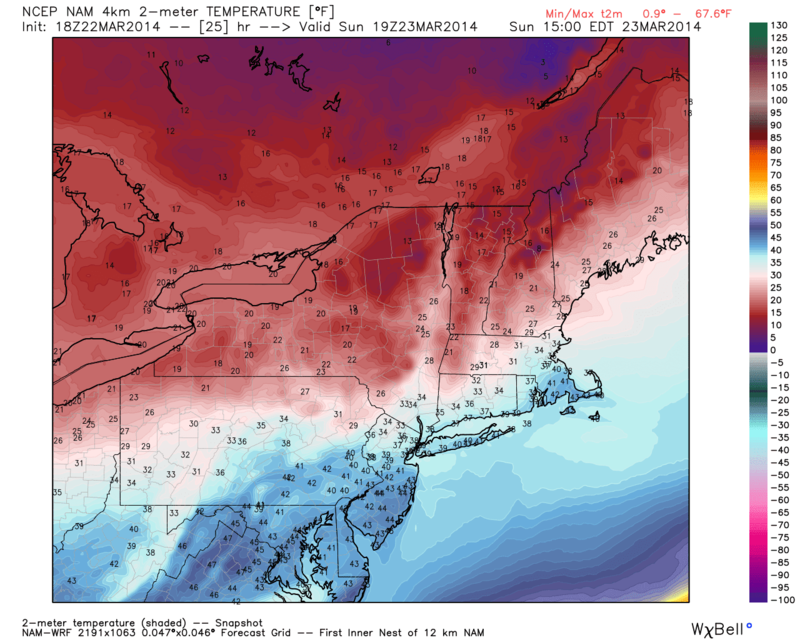 It may be cold enough for freezing rain Monday AM. I will keep an eye on that. 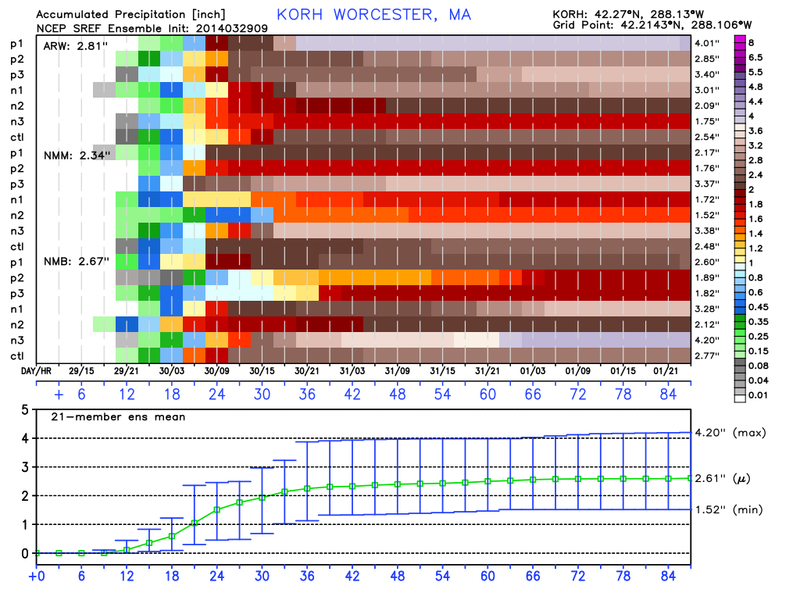 2-3 inches of rain in the Blackstone Valley should keep the Blackstone in its banks, However minor flooding is possible if some of the more aggressive short range models are correct and upwards of 4" fall. Now we are looking at excessive rain over the next several days. Two rounds of heavy are rain will move across Southern New England over the weekend, specifically Friday and Saturday night. Thank you to everyone who prayed, cried, and sent positive thoughts to keep this storm largely out to sea. 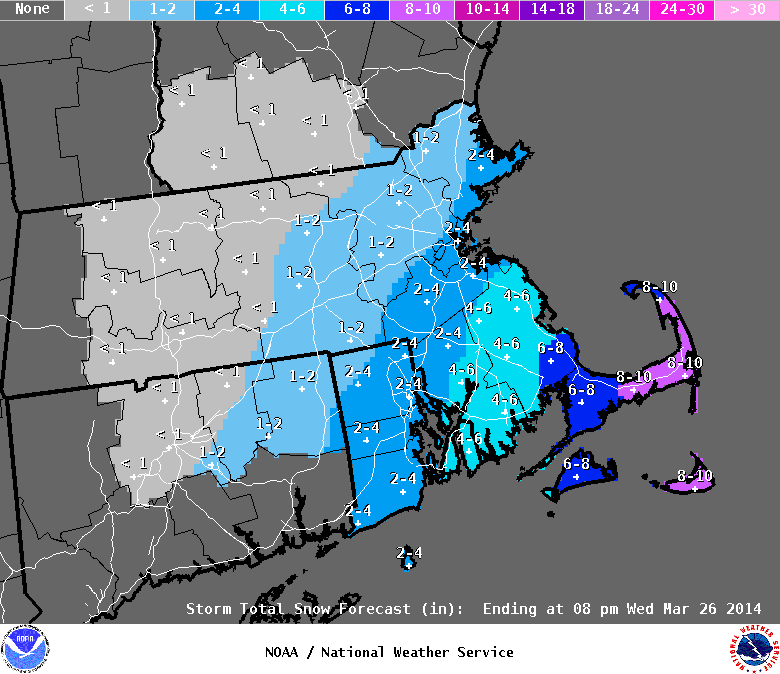 Although some impacts will still be felt (especially on the Cape) the region by and large dodged a bullet. A Winter Storm Watch is in effect for Bristol and Plymouth Counties while a Blizzard Watch is in effect for the Cape and Islands. Other headlines include a High Wind Watch is also in effect for the Cape and Islands for wind gusts in excess of 60 MPH. A Coastal Flood Watch is in effect for the North facing beaches on the Cape and Nantucket. Clouds will increase as the storm organizes and pulls north. Expect temperatures in the Mid 30's today. Winds will start from the SW but by this evening they will flip to the SE. 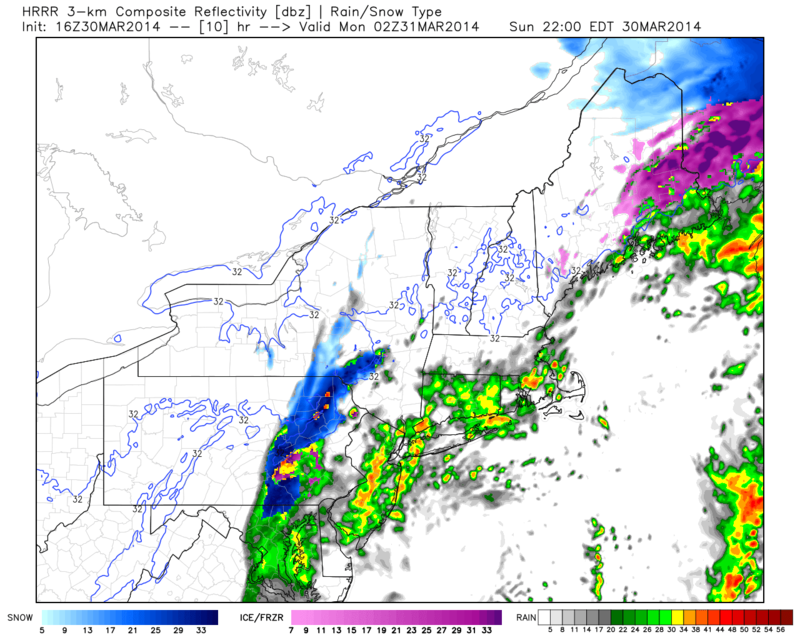 Snow exits Cape early afternoon. 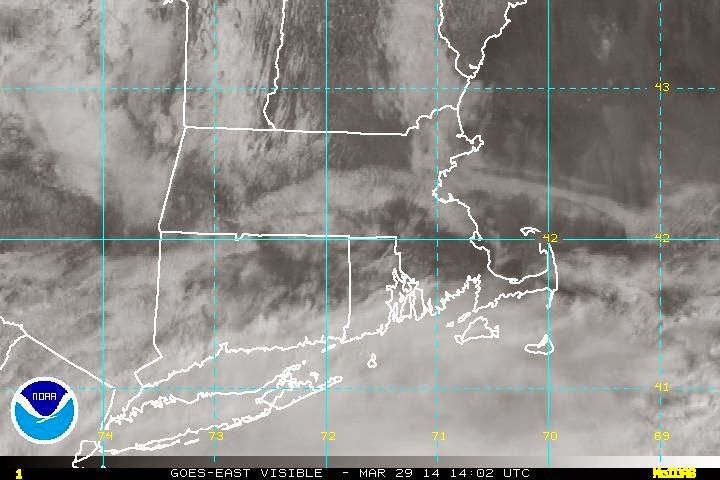 Winds gust as high as 60-70 on Cape/Islands. Winds gust 35-45 further inland. This storm is expected to be the strongest storm in the NW Atlantic since Hurricane Sandy. 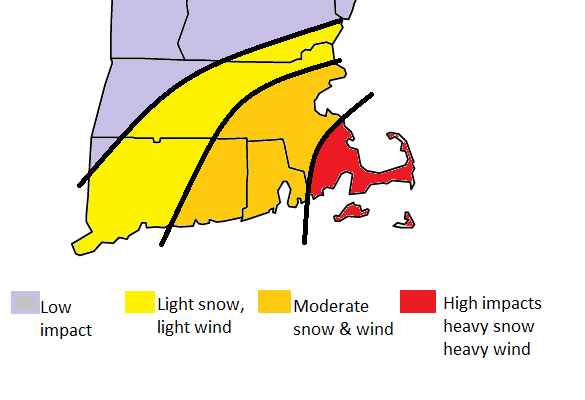 As a meteorologist its fun to track but I hope everyone stays safe in Atlantic Canada, Coastal Maine, and SE MA. A strong ocean storm will develop off the East Coast and it looks like it track close enough to New England to produce some effects. There are still plausible scenario's in which the storm slides out to sea and the impact is minimal. However given the projected strength of the system let's take a look at it. Here is the projected Surface Chart Monday 8 am. High temps are in the mid to upper 20's. Monday night lows are in the teens. By Tuesday our Arctic high will slide offshore as a coastal low begins to develop off the east coast. Why a powerful storm? First of all the computer models are all developing a sub 980 mb storm. Many are under 970, and a significant number are below 960. 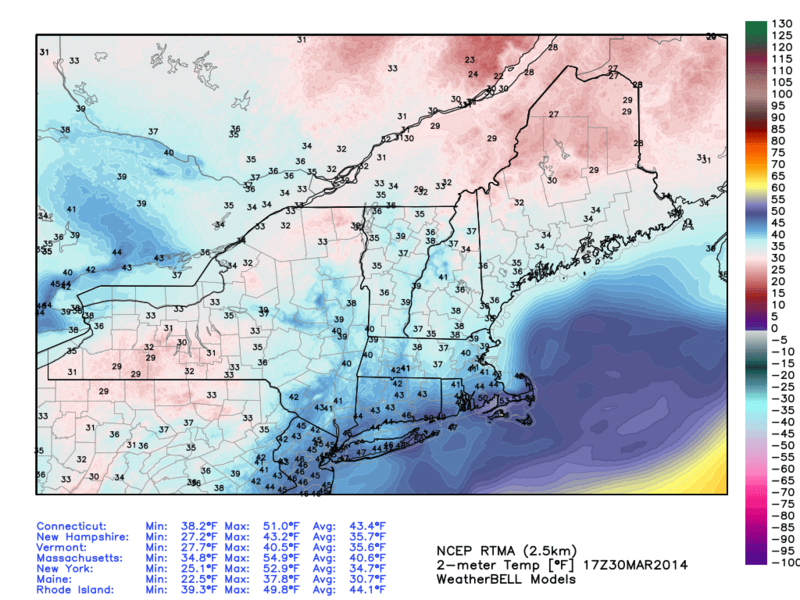 Given this information let's examine the sea surface temperature gradient along the east coast. Enjoy your Saturday, I'll keep evaluating data tomorrow. 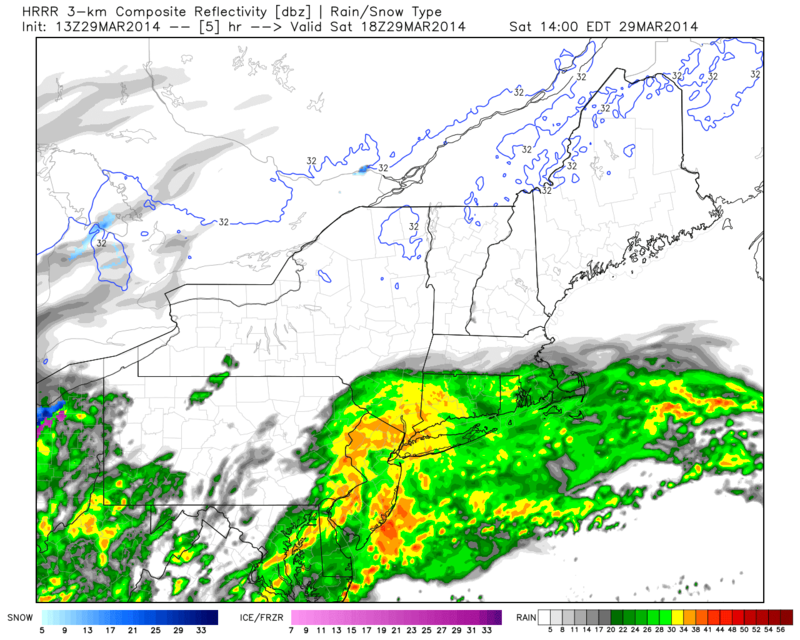 This is for overnight tonight through early Thursday AM. 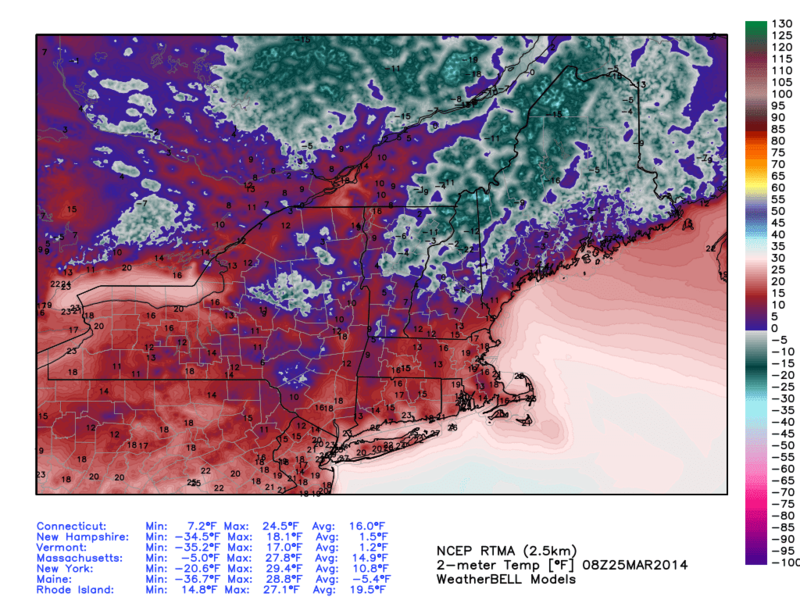 The main concern is a flash freeze tonight as a bitterly cold Arctic air mass is behind the storm. 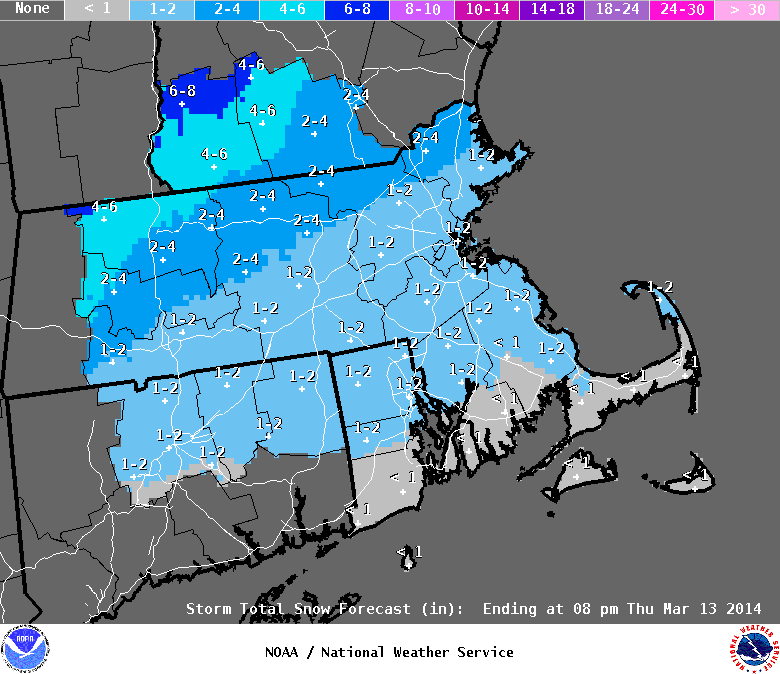 1-3" of snow is also possible. 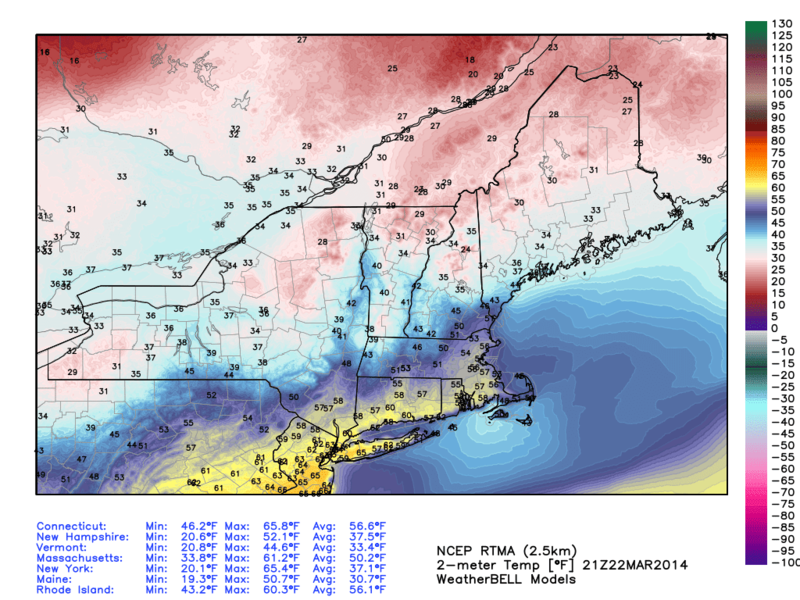 The temperature gradient is impressive across New England this AM. 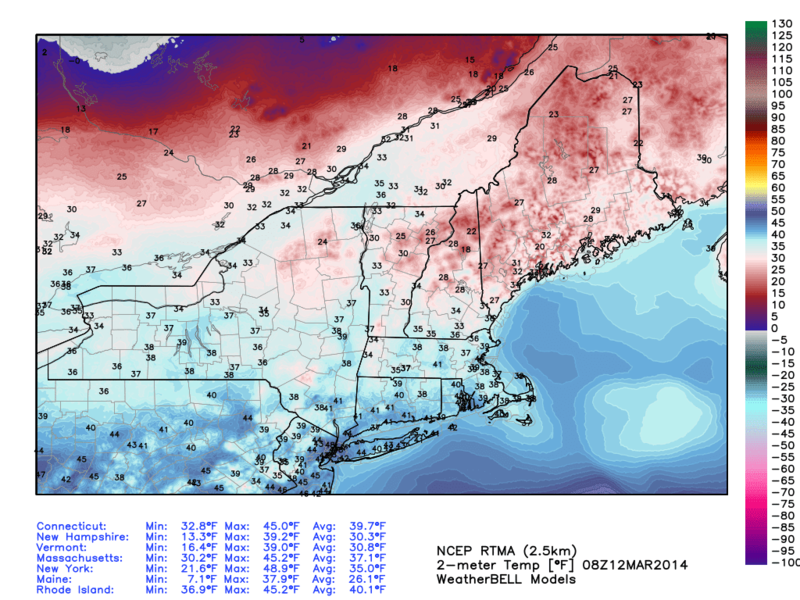 We stretch from the mid 20's in NH, VT, and ME to the low 40's in S CT, RI, MA.